Aquamarine: It is an azure or light blue transparent hexagonal long column crystalloid discovered in pegmatite, and is primarily distributed in the south section of the metamorphic zone in Ailao Mountains in the south Yunnan. Sapphire: Belonging to the corundum family, sapphire is one of the five top gems ranking third behind diamonds and rubies. 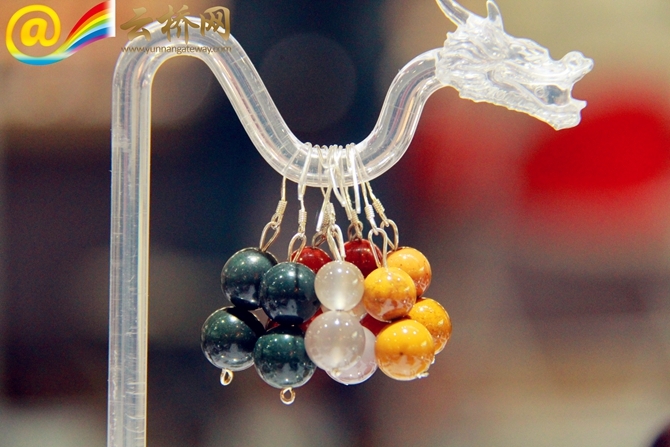 In Yunnan, it is mainly distributed in Honghe Prefecture, Ruili City and Yuanjiang County. Garnet: Among the gems discovered so far in the world, garnet has the most abundant varieties and colors, and is used most widely for the longest time. 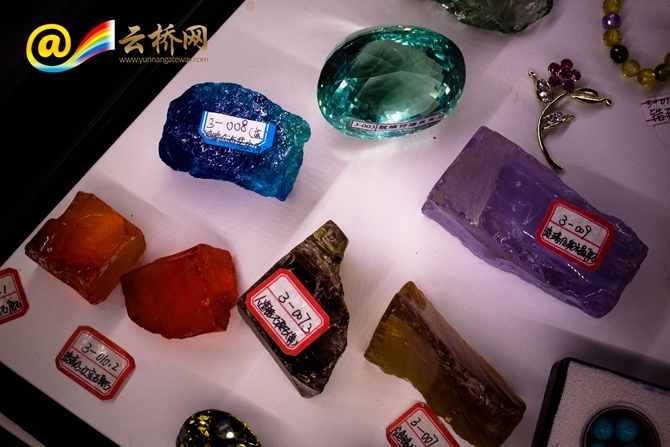 It is primarily distributed in Wenshan Prefecture of Yunnan Province. Amethyst: Most amethysts grow along crannies of pegmatite to form brush-shaped crystal clusters. They are small and uneven in color, with a dense color on the head/tip. It is primarily distributed in Puer City and Ailao Mountains of Yunnan Province. Calamine: The azure, light blue and light green calamine is smooth and of oily luster and translucence. It is distributed in Dongchuan County, Lanping County and Gejiu City of Yunnan. Rose quartz: Formed in the pegmatite, the pink, peach, light red or red branded rose quartz is of translucence in a cloudy appearance with brittle texture. 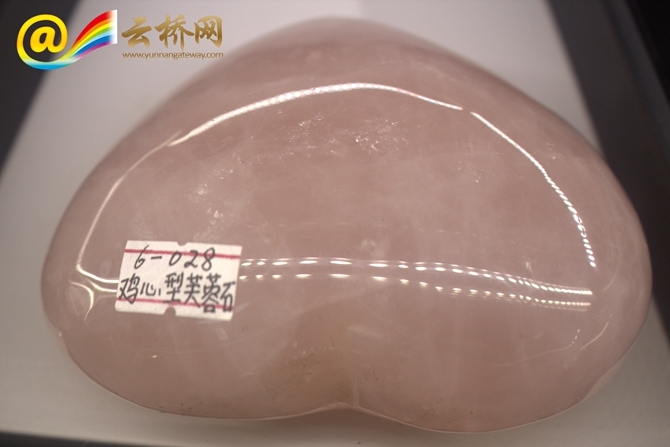 It is pink since it contains a trace of titanium and is a famous gem of love. 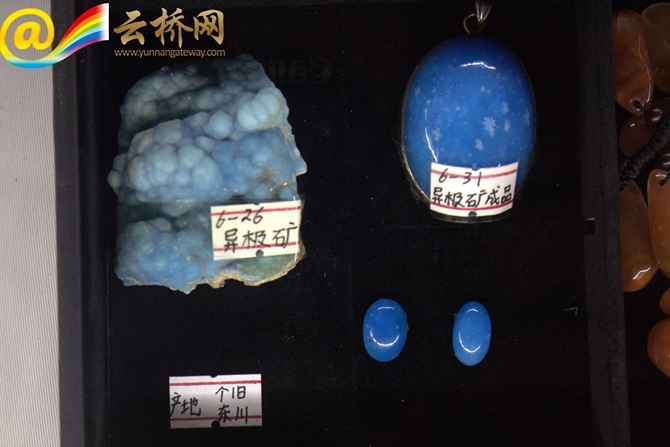 It is mainly distributed in Ailao Mountains, Gaoligong Mountains and Longling County of Yunnan.